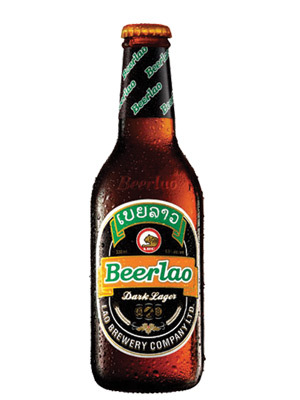 Beerlao Dark is a strong pilsner produced by the Lao Brewery in Laos. 6.5% ABV. Brewed in beautiful Laos countryside, this dark lager is award-winning and made with the finest ingredients and roasted malt. It©s a full-bodied taste with a golden brown hue. Beer Lao Dark goes down smooth and easy while lined with a slightly nutty taste and medium carbonation.